A new Infinity unit box that provides all the weapons options needed. Now you can compose a Fireteam of these Heavy Infantrymen in the Corregidor Jurisdictional Command Sectorial Army. 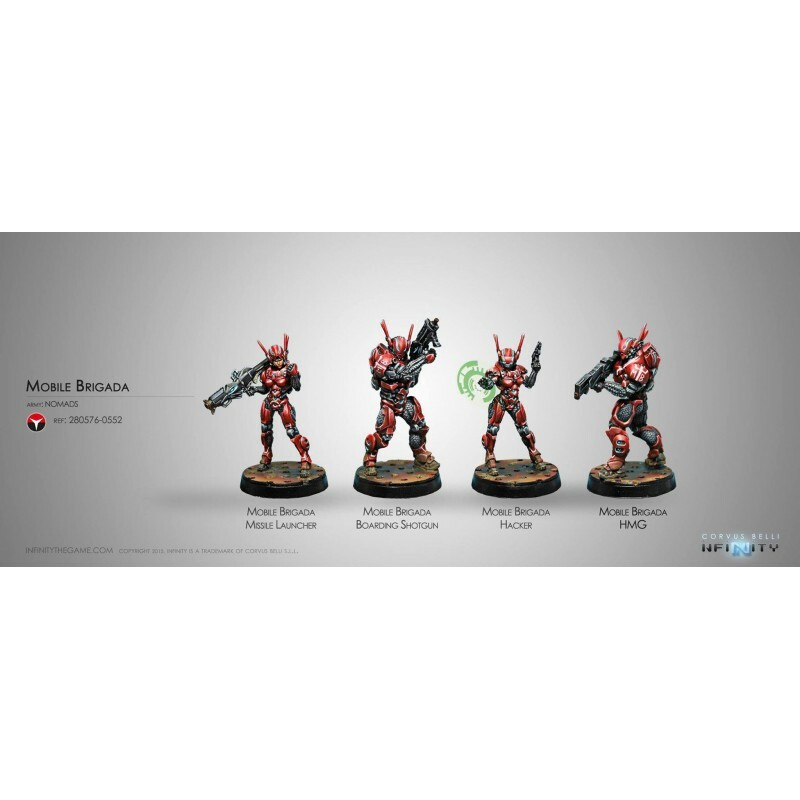 The Mobile Brigadas are the Nomads armored soldiers, well known by their courage under fire. They are tough, versatile troopers, useful in both attack and defence missions, especially when carrying powerful support weapons. Models are made of metal.